Warning. What follows is not healthy. It is addicting. So you may want to turn back now. My husband loves pretty much all things chocolate. You just have to love a man like that. 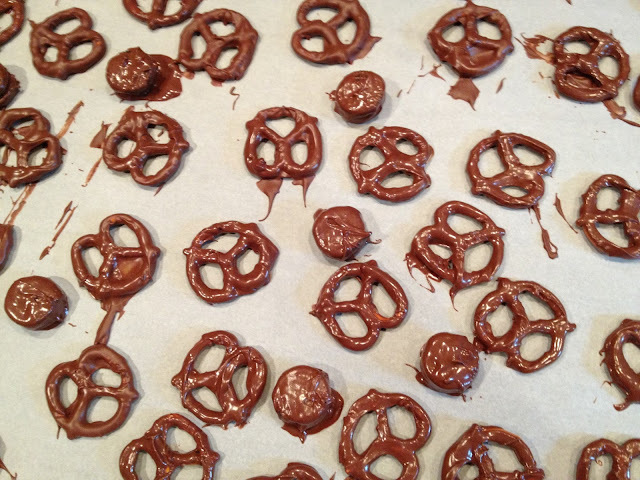 So today I decided to make some chocolate covered pretzels. The first step was going to the store to buy a bag of pretzels. Yes I could have made them. No I didn't bother. Sorry, I am not a purest. Don't hold my lack of time and ambition against me please. Simple but messy... and worth it! As an added bonus I also dipped some mini-Oreo cookies too. Those would be the odd round shapes in the pictures. You may also like this post on homemade Strawberry Jam or on my (almost) famous Dutch Oven Bread with only four ingredients. I did the same thing and they completely disappeared!!! Stopping by from the Independence Day Hop! Have a safe and freedom-filled 4th! 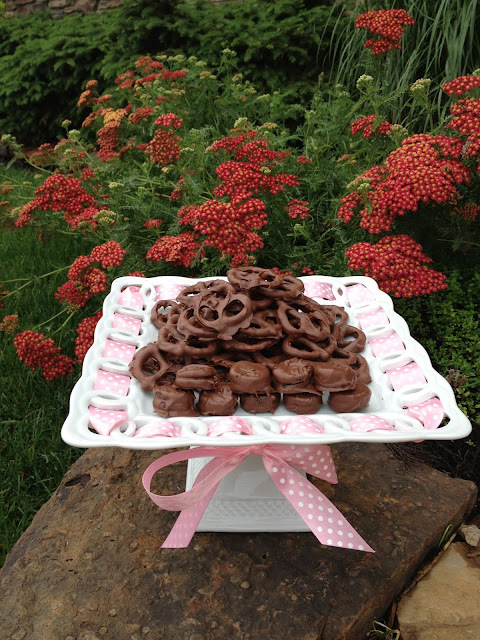 Love the sweet and salty taste of chocolate covered pretzels. Nice tutorial of the process. Thank you for sharing with the Clever Chicks Blog Hop this week; I hope you’ll join us again! I squealed when I saw this recipe! YUM!